It is such a challenge to find a delicious healthy food in Jakarta. Come on, admit it the street food is delicious but greasy and the healthier food option mostly feels bland. I often cook at home for the healthier food option (can see my insta story update). Unlike in Bali or Singapore, it is easier to get good chunk of salad and healthy bowl. I recently spotted in instagram that there is a new poke bowl restaurant in Kemang Area, Honu, and I was curious and decided to try it last weekend with Veren. You probably heard a lot about Poke Bowl everywhere on the internet recently. This popular dish is actually a Hawaiian dish served as appetiser, consists of cubed raw fish mixed with seasonal vegetables seasoned with soyu. Although it is only recently popular, this dish has been around for centuries. This newly established cafe is located at Kemang Selatan nearby the gallery Dialogue. The cafe spot is previously a little Italian restaurant called Atavola. 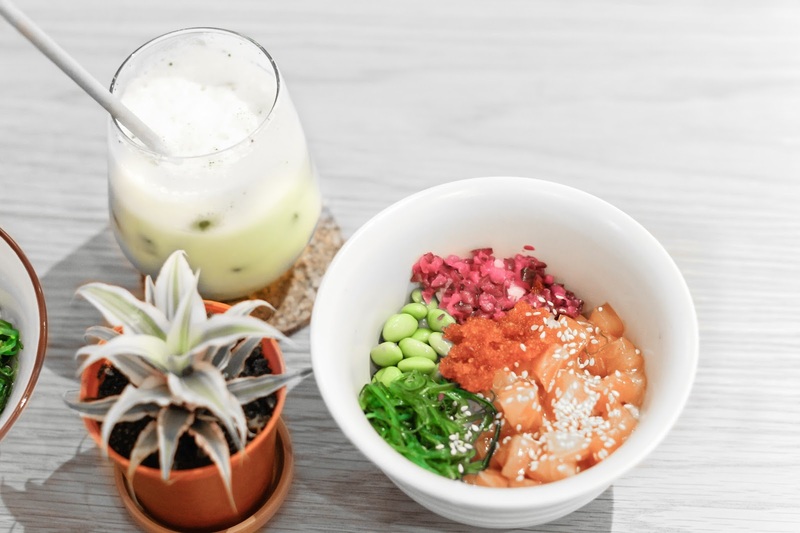 The cafe specializes in poke bowl and matcha drinks. The menu is not really much because what they offer is just the poke bowl as mentioned. 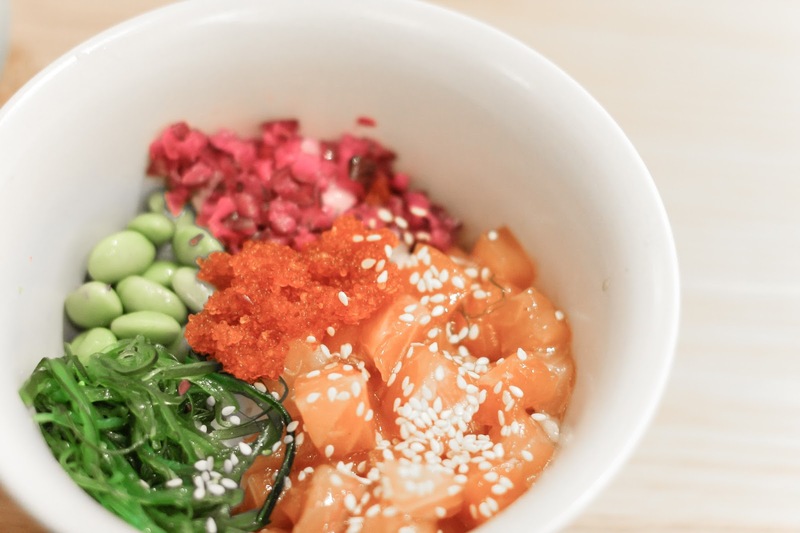 We ordered the Salmon poke bowl, consists of diced salmon sashimi, seaweed, edamame beans, and veggies. I had mine with sushi rice, while my friend had the brown rice. Totally love the food because it is fresh! Aside from the salmon option, they also have the tuna and grilled chicken. On the other hand, I had iced matcha latte for drinks while my friend had the plain ice matcha. 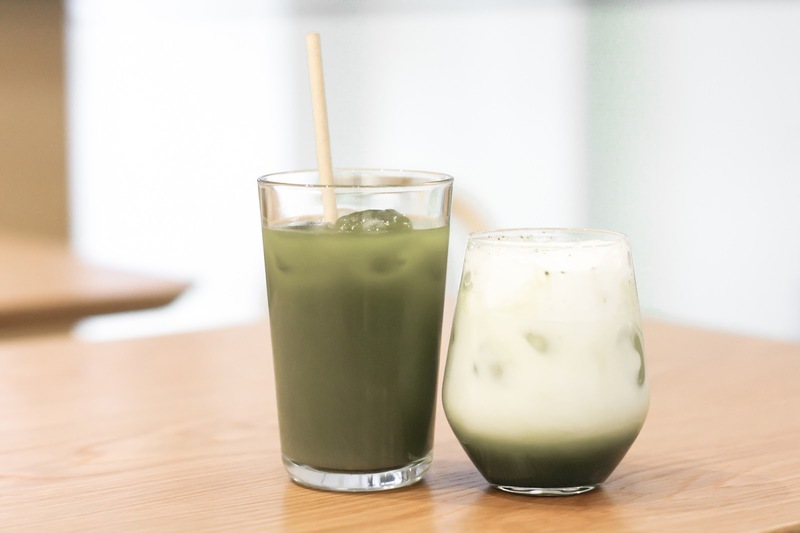 I should say that the iced matcha is so good and refreshing! It is mixed with soy milk and honey, totally love the combination. They claim to use the high grade matcha powder and I believe they do so. All in all, I love the cafe and will reccommend it to you, and yes we need more healthy food cafe in Jakarta please! outfit details: stradivarius jacket. zara shoes. Have you ever tried poke bowl in your area? What can you recommend? El look es ideal y me gusta. I'm so obsessed with Poke Bowls!! These ones look amazing. How yummy and fresh- and loving your bomber, babe! Yum, it all looks amazing and great pictures too! You look nice in cute outfit. I had a poke bowl once and it was delicious! I also love your jacket! This seems like a nice place! I've heard of poke bowl but I've never really tried it. It looks so delectable! I should try it soon! I drink matcha but I've never tried it cold. I guesd I should try it soon, too. - Gretch of GG Memochou!